The high-profile constituency was represented by party stalwarts like ex-PM Vajpayee in 1991, Sushma Swaraj in 2009 and 2014, and former CM Chouhan in 1991, 1996, 1998, 1999 and 2004. VIDISHA: Madhya Pradesh BJP leaders are batting for the candidature of Sadhna Singh, wife of former state Chief Minister Shivraj Singh Chouhan, from Vidisha Lok Sabha constituency after Union Minister Sushma Swaraj declared she will not contest the polls. BJP MLA Rampal Singh, a close aide of Chouhan, said, "Sadhna Singh's name has been suggested and recommended by the district presidents of all the four districts spanning Vidisha Lok Sabha seat as also the sitting and former MLAs of the party. However, a final decision will to be taken by Delhi and we are hopeful that her name will be approved." According to BJP sources, Sadhna Singh's name for the seat came up after Chouhan decided not to contest the Lok Sabha polls. Vidisha Lok Sabha constituency comprises eight Assembly segments -- Bhojpur, Sanchi (SC), Silwani, Vidisha, Basoda, Budhni, Ichhawar and Khategaon spread across four districts of Raisen, Sehore, Dewas and Vidisha. Except for the Assembly constituencies of Sanchi and Vidisha which are in the bag of Congress, rest of the six seats are being held by BJP. According to the sources, all the six MLAs have agreed on the name of Sadhna Singh. The high-profile constituency was represented by party stalwarts like former Prime Minister Atal Bihari Vajpayee in 1991, Sushma Swaraj in 2009 and 2014, and former Chief Minister Chouhan in 1991, 1996, 1998, 1999 and 2004. 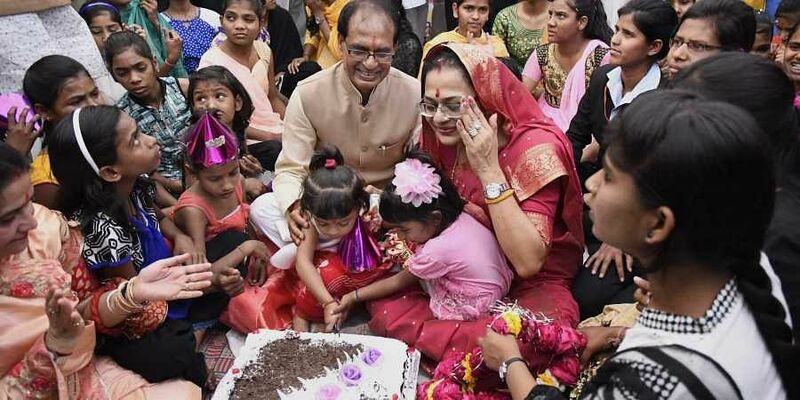 Sadhna Singh had extensively campaigned for her husband Shivraj Singh Chouhan in Budhni and Vidisha Assembly constituencies in the past and is a well-known face among the party workers and voters. Chouhan is sitting MLA from Budhni.